The Halifax Resolves Chapter NC SAR recently conducted their annual Americanism Poster contest. 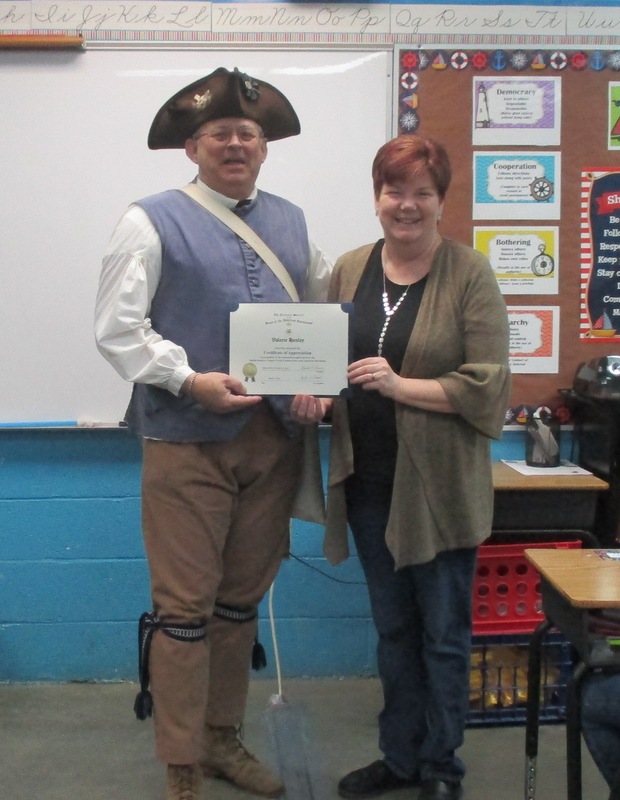 The topic of this year’s poster contest was a Revolutionary War Patriot. 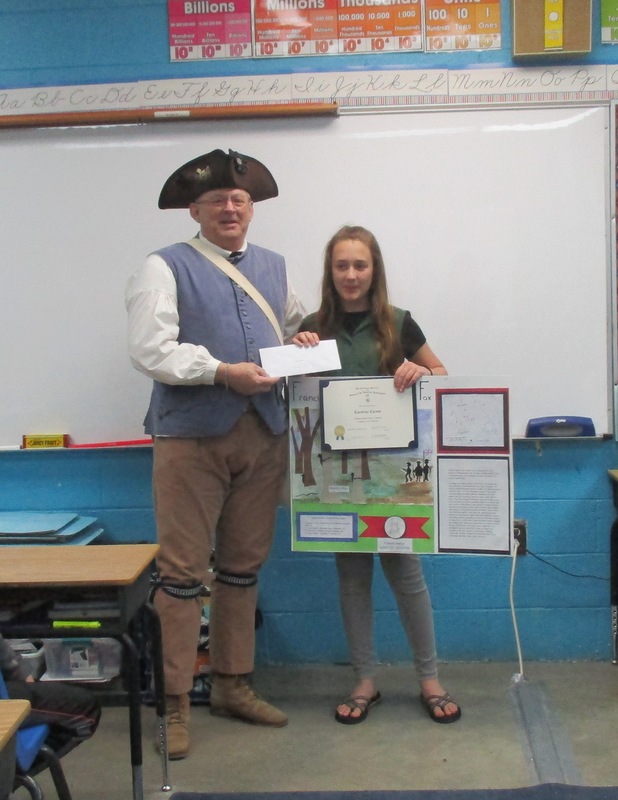 Carolina Corum, a 5th grade student at Halifax Academy in Roanoke Rapids, was selected as the winner with a poster about Francis Marion, also known as “The Swamp Fox”. The poster will now be advancing to the state competition being held May 18th at the Alamance Battleground, Alamance, NC. For her outstanding work, Carolina received a Chapter Level Winner’s certificate and a check for $100.00. Her teacher, Mrs. Valerie Henley, was also presented with a check for $50.00 for her sponsorship of the winner poster. Three area schools participated in the contest which had a total of 49 entries. Halifax Academy also had four (4) Honorable Mentions: Hayden Barlow, Davis Crawley, Kenley Floyd and Emme Wommack.